At Warner Orthopedics, our expertise in neck and back care allows us to provide quality treatments for every patient. Over 80 percent of Americans experience neck and back pain at some point in their lives, making these injuries one of the leading causes of doctor visits in the United States every year. Every neck and spine injury is unique due to the interconnectivity of these structures. Based on the severity of your condition, injuries like a herniated disk, fracture or sprain may require surgery or non-invasive treatment. Your neck and back are a sophisticated, yet powerful group of bones and muscles that are continuously working to support your body, and keep you upright. Each section operates in tandem with others to create the mobility and flexibility you need to move freely throughout the day. Abnormalities, damage, and injury disrupt motion and are difficult to recover from without medical intervention, despite your body’s ability to adapt. Experts at Warner Orthopedics combine their expertise to provide patients with unparalleled service and skill. Finding the best treatment route for each patient is the most important factor in every decision. We use detailed evaluations and testing to discover which path will lead you to recovery. We specialize in getting you pain-free. 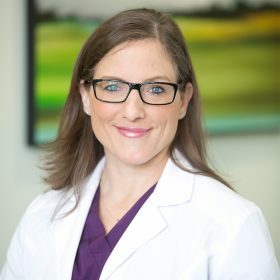 Dr. Meredith Warner, founder of Warner Orthopedics & Wellness is a board certified orthopedic surgeon, who specializes in foot and ankle reconstruction. She is an expert in orthopedic medicine and the inventor of the revolutionary treatment for plantar fasciitis, The Healing Sole. Call us at (225) 754-8888 or click the button to schedule an appointment.